Who doesn’t like rice? My husband. Oh well. 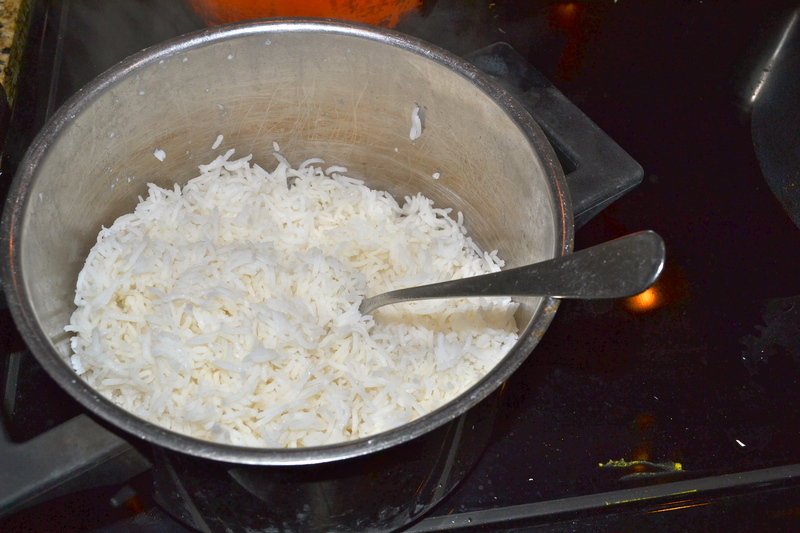 I once made indian food on a camping trip, thinking rice would be quite easy on a propane gas stove (it was). My teenaged niece and nephew surprised me by gobbling up plates of the stuff–just plain as can be, none of my hard-won aromatic curries atop it. They said it was because they’d never had rice while camping before. As this is my first post, I thought what is the most boring basic first cooking blog post that I could possibly create? Anyone can make basmati. Just follow the directions on the packet. But I have noticed in my travels that there are those who fumble it. My Armenian auntie gave me the surefire, no fail method about ten years ago and I faithfully abide to this day. 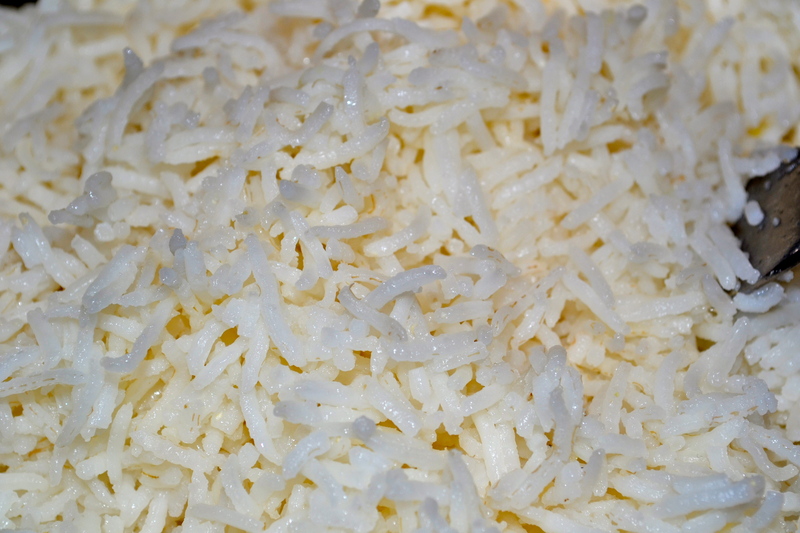 Basmati should be light and fluffy, each grain individual and tender. It’s not the kind of rice you easily eat with chopsticks. But my husband does anyway. He likes chopsticks. 1. How much rice are you making? I don’t measure any more. 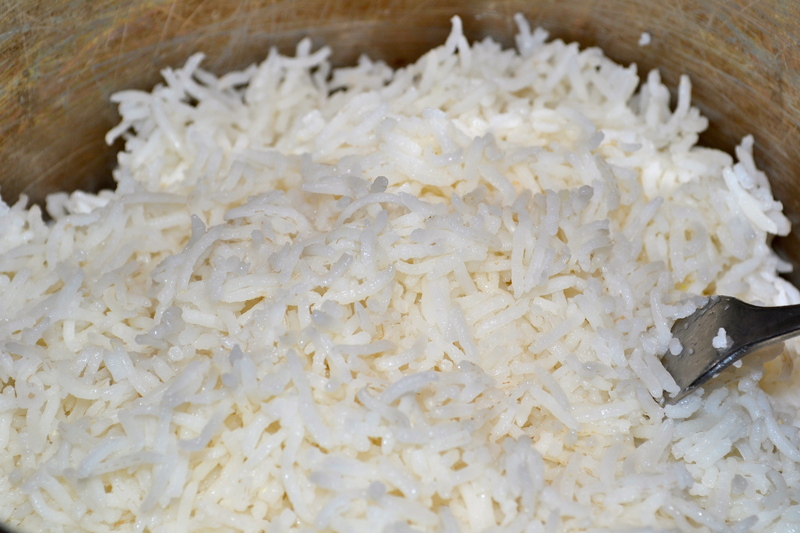 But however much you need, basmati follows a simple ratio, which is 1 to 1 1/2. So if you are making one cup, which is plenty for two or three or even four people depending on side dishes, then you will add one and a half cups of cold water. 2. Rinse the rice. This will help it be less starchy and sticky. Plus it is fun. 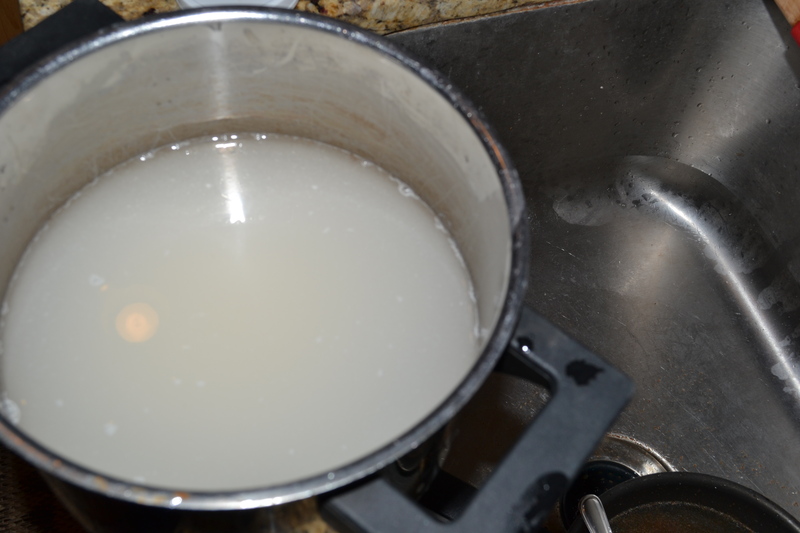 Pour your rice into a pot, add cold water and swirl it a few times. Drain the water. Do this till the water is clear. Or not if you are easily bored, which I am. The rice will be cloudy at first. Keep rinsing. 3. Add the cold water to cook. You’ve either measured your water out already or you do as I do and fill the rice pot up with water so that when you lightly touch the rice, the water level reaches your first knuckle. Yep. That’s the way I measure. *If you need to add a bit of water later you can. But it’s a bit harder to deal with adding too much water. After you make rice a gazillion times then you just figure it out. Ah, the joy of cooking. Measure from the top of the rice to your first knuckle. We are quite scientific around here. 4. Cover pot and bring to boil. Then turn down to simmer for about 10 or 15 minutes. When most of the water has been absorbed and the rice is nearly tender, turn the heat off and leave the lid on for another 15 or 20 minutes. When ready to eat, take a fork and fluff the rice. Leave the lid on while you’re setting the table, pouring a drink, etc. The rice will stay nice and warm. My Husband does not like plain rice either. Oh Well. I I really Like your article. Hope you will like my Khichdi video and the baby spinach with brown rice. Let me know if you try.